I really don't think these two guesses are that crazy. I wouldn't be surprised if both are signed to 1-year deals just so the team can get past the Marleau deal and then they'll get raises after that. The Leafs will actually be able to sort of use their lack of cap space in their favour in these negotiations. They can hold a strong stance and literally just say "this is all we can afford to give you right now, take it or leave it". Yeah and unlike Nylander neither of those guys have done enough to warrant a big contract already so they don't have the hammer of sitting out and waiting. If they want to earn a significantly better deal, they'll have to be on the ice. 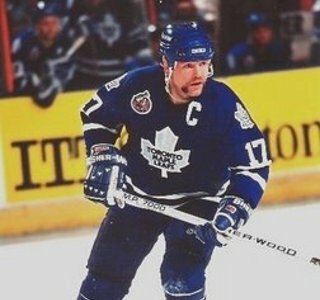 Check out who Nylander would cast to play him in his biopic. It's time to start earning those big dollars he just signed for. Let's keep this 29 theme going, Matthews needs 6 points in the game tonight to get to 29 on the season and properly welcome Willy back. Why did the "Big 3" thread get stopped, still 2 left? 90% of the thread was probably about Nylander since he was the most pressing concern at the time. Also it can be hard to keep track of new news/comments with jumbo threads like that, so at some point they just need to be closed and a new one started fresh. Probably because the actors would have to spend a good deal of time researching their subject of study, which I'm assuming is to his advantage. Margot already knows how to skate, but she'll have to substantially beef up for the role. When they do the big budget movie about this team breaking the streak, Margot Robbie should be cast in all the roles. Nylander, Marner, Babcock, with glasses as Dubas, fake eyebrows for Marleau, old man make-up to play Harold Ballard's ghost. Page created in 1.741 seconds with 28 queries.